Bringing home a new addition to your family is exciting. A baby to love and take care of is a dream for many couples. Diapers, bottles and bathing a baby are things most first-time parents learn in the hospital. Where should your newborn sleep? Do they get put in a crib right away? Is it worth the cost of getting a bassinet? There are limitless questions about your newborn’s sleep that will arise. Learn the answers to all your questions here and discover everything you need to know about bassinet sleeping. Bassinets are something every baby should start off sleeping in once they come home from the hospital. Having a bassinet is suggested by the American Academy of Pediatrics as the safest way for newborns to sleep. Bassinets don't have corners that the baby can roll into during their sleep. Because of constricted moving space, they keep the baby supported and in one position while sleeping. During the first six weeks, the baby adjusts to life at home. This includes getting used to noise, being fed and sleeping on their own. 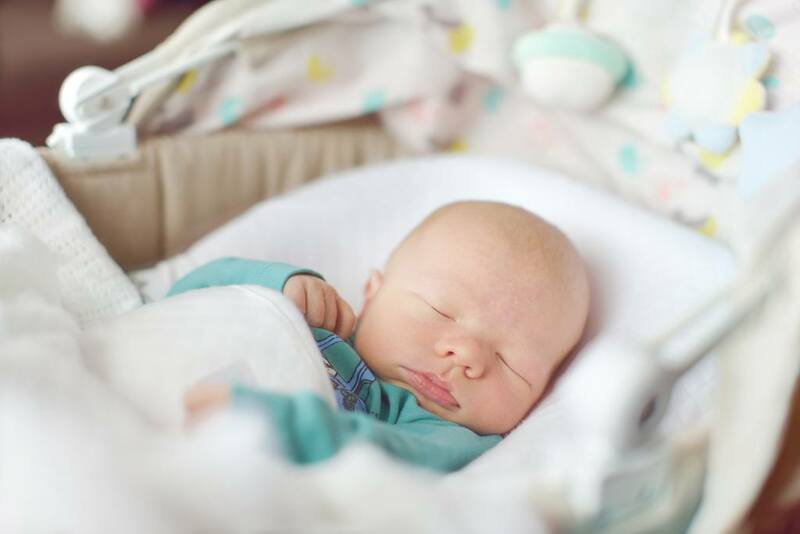 As your child learns how to manage their new environment, bassinet sleeping makes the transition simpler and less stressful for both baby and parent(s). When you first bring your baby home, it's important to keep them in the same room with you when sleeping at night. Your baby shouldn't co-sleep with you even in beds, due to possible accidents. ​Baby bassinets can help prevent this. ​This makes bassinet sleeping a safer option for baby and parent(s) while allowing you easy access to your child if they wake up in the middle of the night. Newborns tend to have midnight feedings and need their diaper changed multiple times throughout the night. Parents and child have comfort and ease when sleeping in the close proximity. As you attempt to help your child move into a new sleeping arrangement, try putting them in the crib in small increments. Try 10 minutes and then increase it to 20. See how your child does in the crib for a short nap. Eventually, your child warms up to the crib and you can start putting them down for the night. Try rocking your child for a bit to soothe them and get them into the mindset of sleep. Once you notice them nodding off, put them in the crib. Try sitting back down in a chair in the baby's room or on the floor, where they can see you and slowly begin to move away. This gets your baby used to the idea that you're there as they fall asleep. To help make the process easier, using music, a night light and creating a bedtime routine goes a long way in helping your child settle down and sleep throughout the night (or part of the night) in their crib. Babies give their parents cues when they're ready to switch over from bassinet sleeping to crib sleeping. Although age is a factor, there are other things to consider as you get ready to move your child. Some children as destined for tallness, which means they'll outgrow their bassinet before children of the same age. Keep in mind the weight limits of the bassinet and how much your baby currently weighs. As they get older, babies develop quickly and can outgrow a bassinet before you realize it with an increase in weight and height. Keep an eye on development, sleeping habits and your child's own needs. This enables you to provide the support they need while growing. ​Selecting a bassinet isn't easy. Many first-time parents worry about choosing the right model or finding something that keeps their child safe and comfortable when it comes to bassinet sleeping. ​You don't have to choose on your own and struggle with finding the perfect fit for you and your child. Let us help you with our buying guides for bassinets. You'll see what the latest models are that are popular on the market and weigh the pros and cons of each one. Use our website to see what's out there, so we can help you and your baby feel comfortable and get plenty of rest (or at least a nap).